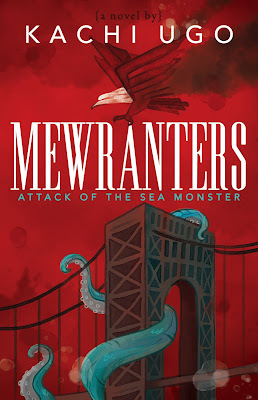 Welcome to my stop on the Mewranters: Attack of the Sea Monster blog tour! 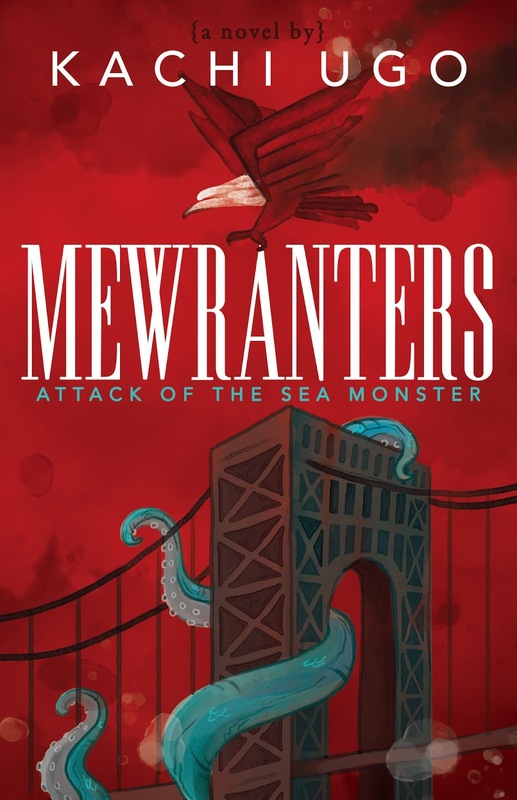 With every Mew in the country out to kill him, and the sea monster calling him out to the sea, Perry must quickly learn why every Mew is threatened by the existence of an eagle Mew if he is to stand a chance at saving his parents and killing the monster. If he fails, it may very well be the end of his familyâ¦ and the rest of the world. This fast-paced story, with its intriguing plot and original fantastical world, keeps every zoo-going, animal-loving kid wanting more as they follow Perryâs adventure. Perry Johnson awoke with a feeling of dread. He knew his time had come, and he felt he was going to fail. He had never been good at anything. Not sports, not hanging out with friends, not even school. He wasnât failing in school, but he wasnât passing either. He was average. In everything. Nothing special. That kind of sucked. But what could he do? It was who he was. It was his destiny. Even as he sat trembling on his bed, he figured today was going to end badly. Badly for him. He was certain he wasnât going to be good enough. He had known about the ritual for some time since Richard. He was four then. One week after they had celebrated Richardâs twelfth birthday, the family moved to their cliff house in Nevada. Perry didnât know what Richard did because he wasnât allowed to watch, but whatever Richard had done, he had been awesome. Four years later, Jane and Jakeâs turn came. He didnât watch, again, but he knew they were great. Now his time had come. One week after they had celebrated his twelfth birthday, they had moved here. It was his turn, but Perry already knew what the outcome would be. Perry knew he wasnât good enough. Whatever this family ritual was, he was going to fail it. Perry had always gotten by being average. Somehow, he suspected that this time average wouldnât be good enough. Thatâs why he was afraid. The ritual was importantâlike family-tradition important. That much he knew. He loved his sister so much. He couldnât bear the thought of losing her, but that didnât stop these thoughts from barraging his mind. Average meant failure, and failure was his one-way ticket out of the family. Perry had already gotten used to his small room. Still, it pressed in on him from all sides. He had no appetite for food. Yet, he knew he must eat. It might very well be his last meal as Perry, son of Johnson. Perry jumped off the bed. He landed on the floorboards with a crouch, his legs almost giving in. He had on a red shirt and blue jeans. He looked in the mirror on his dresser. All he saw was a small, scrawny preteen. He gulped. His heart was already pounding, though he kept his breathing steady. The door to his room opened. Lisa, his dear sister, came in. She had a warm smile on her face and a small broom in her hands. âMother told me to do your chores,â Lisa said, mild irritation on her face. might not be here to watch her do the ritual next year, but he knew she would excel. She was unlike him. Success came naturally to her, the same way being average came naturally to him. It was who they were. Maybe, if he could get his parents to understand this, they wouldnât kick him out of the family when he botched the family ritual. Spurred by impulse and a humongous amount of nervous energy, Perry hugged his sister and left the room. He could never hate his sister. Not even when his parents praised her and derided him. He couldnât even be jealous of her. Perry walked the narrow corridor, which opened to the small sitting room. His heart lurched. Richard, Jane, and Jake were all present. Richard sat at the table with Jake, while Jane sat on a couch. Mother wasnât in the room. But there was food on the table, which Richard and Jake ate. There was an extra plate; his, Perry concluded. He hesitated in the low-light corridor. Usually, when Richard came from Maine, or Jake and Jane, their familyâs inseparable twins, came from school in California, Perry felt exuberant. But now he could feel his heart sink. He didnât want them to see him fail. He didnât want to eat, but he knew he must. A hand touched his shoulder, and he jerked away, frightened. He was in the sitting room now, in the open, exposed. At first, he was startled. Everyone seemed happy to see him. He felt like a spotlight was upon him. Richard, Jake, and Jane talked excitedly, all at the same time, but he couldnât pick out their words. All he was conscious of was the ferocity with which his heart hammered in his chest. He looked at where he had been. His mother stood in the doorway, staring at him, concerned. The room fell quiet. His mother pointed at the table. âEat,â she rumbled. Perry nodded in submission, sat, and ate. He forced the cheese pie into his mouth, down his throat. Richard watched him, silent, but Jake talked. Talked about the weather. Talked about school. Talked about birds. Richard gave him a sharp look when he mentioned birds, and he quickly changed the topic. Talked about family traditions. Jake only talked this much when he was antsy. He probably knew Perryâs chances of success were thin and feared for him. Perry felt like crying. Why did he have to be such a loser? Mother roamed the house. She too was nervous. Jane gave nippy glances at him and his food; they flickered from impatience to anxiety. Father wasnât in sight. But he too, no doubt, thought he was no good. Perry fought the urge to wail out in distress and continued battling with his cheese pie and milkshake. The air seemed to thicken as he pushed it through his lungs. Perry didnât get to the last slice of the crusty cream pie before Father came into the sitting room. He looked first at Perry. His weathered face carried deep lines on his forehead. In these deep lines, strips of sweat lay. His blue T-shirt had a dark V that reached from his neck. The dark stain was perspiration. Then, his gaze shifted to Mother. âThey are ready for him,â he said in a solemn tone. It was as if a giant bell rang in Perryâs mind. He knew he was finished. Why remain there? He jumped out of his chair and was about to run for his room. But his mother stood, akimbo, in his path, with a look of concern on her face. She didnât seem to have noticed his intentions. He squashed the urge to run and kept hidden those intentions. Richard, Jake, and Jane rose to their feet, a sudden reverence around their motions. They stood still, allowing Mother to guide him towards the door with one hand on his shoulder. Father gave way, and Perry walked into the hot desert. Three strange-looking men stood by the metal interlocking fence. One was old and the other two were young. But they both looked like they were from an ancient Indian tribe. The old man sported a white shirt, a white headband, and a white feather sticking up by his left ear. His intense gaze drilled holes into Perryâs eyes. Perry looked away. Beyond the fence, less than ten feet away, was an edge. Father had told him that the edge was fifty stories above the desert floor. Father had also told him that anyone who fell off the cliff would splatter into a million bloody pieces. Motherâs grip tightened on Perryâs shoulder. She pushed him gently towards the strange men. Father and the rest followed from behind. As Perry glanced around the yard, he realized there was only one car beside the house. How had these men, including Richard and the twins, gotten to the cabin? There wasnât a highway for miles. What was going on? Perry caught the look in Motherâs side glances to Father. She was uncertain. Unsure. Like she knew this was his last day as her son. But, she couldnât call off the ritual now that these strange men were involved. When they were still a distance from the three men, they halted. His mother crouched beside him, held his shoulders with both hands, and fixed him with her most dangerous stare. Whatever she said now, he could never disobey; not if he didnât want to suffer severe consequences. Perryâs dread heightened. Lose Lisa? His motherâs fierce gaze melted that instant. She looked at his heaving chest for a moment. Then she turned to face his father. Her knees gave out beneath her. âHeâs not ready,â she muttered to him, tears in her eyes. âWhat if he fails?â Mother said, glancing at Perry, who now stood alone. His fatherâs eyes gripped his. âThen itâs over for him.â He said this without an iota of emotion. Perry turned away from his family. The three strange men remained passive and silent as he approached them. The sun scorched his head. Baked sand found its way into his jeans. He looked over his shoulder one last time. Mother and Father werenât looking. They were locked in an embrace. Richard and the twins were farther behind, staring at him with glassy eyes, squinting in the sun. The house stood behind them, the only human structure for as far as the eyes could see. It was small, misshapen, a construction of roofing sheets. It had been his familyâs cabin for years, since before he was born. He was about to lose it. He was about to lose everything. âPerry Johnson,â the old man said. His voice was unusually strong considering his age; he had wrinkles all over his face. you know what this is all about, Perry?â he asked. Perry shook his head, too scared to talk. âA family ritual.â Perryâs voice was lost in the wind, but the man must have heard because he nodded contemplatively. âGo on,â he said. They were through the gate and headed for the edge of the cliff. âItâs dangerous, Sir. My father has forbidden me to cross the fence,â Perry said, trying to look over his shoulder at his parents. But, the old man prevented him. Perry tried to wriggle himself out of the manâs grip, but the man clamped tighter. âNot to birds, itâs not,â the old man said, pausing at the very edge of the cliff. Perry felt queasy standing fifty stories above the ground. He shut his eyes and craned his neck away from the fall. âIâm not a bird, Sir,â he cried out in desperation. âNot yet,â the man said, and shoved him over the cliff. Hurtled to splatter into a million bloody pieces. He screamed, flapped, and beat the air. But, he fell on. The floorâhis deathârushed up to meet him. His heart fluttered ferociously. A flame of fear erupted around his body. Ten seconds to his death. A strange feeling came over him, unlike his earlier feeling of apprehension. Feathers sprung from his skin. His legs turned to talons. A different kind of fear overtook his mind. More feathers shot out of his skin. Five seconds to his death. Perry flapped his hands faster, as if he could fly. The wind caught on his handsânoâhis wings! He flapped again and glided away from the cliff wall. He was no longer falling. He was gliding, two yards above the ground! He cried out, terrified, but what came forth from his sharp beak was a piercing whistle that rang through the desert. He tried to grab the sand before crashing into the ground. He tried to push his body off the sand with his hands, but they werenât strong enough because they were wings. Panic stabbed at Perryâs heart. He flapped off the ground, rising five feet into the air. The sand lodged in his skin felt like tiny pinpricks, irritating him. He landed on talons, shaking his body vigorously. I canât be a bird! he thought. I CANâT BE A BIRD! Wait, maybe I succeeded this time! Did I pass the test?! He looked to the cliff. It was so far away. Yet he could clearly see his parents, Richard, the twins, and the three strange men. He searched their faces for recognition or approval, but it was not happy surprise or awe that he saw. It was terror. His heart sank. He was a failure again. What else was new? Before his eyes, they turned into huge birds. Huger than normal birds, but not different in other regards. Mother was a white owl. Father was a blue harrier. Richard was a grey hawk. The twins were bright yellow buzzards. The old man that had tried to kill him was a white osprey. Perry blinked, not sure what he was seeing. They soared high above the desert towards him. When they got to him, they circled, keeping their distance. ground, dropping his head. He felt ashamed of being an eagle. He had failed his parents, his family. He had broken his familyâs tradition. He deserved to be expelled from the fold. Even though he heard her voice in his mind, he knew it was a command, not a request. He leaped into the air, spreading his wings full length. The air seemed to cling to his form, pushing him upwards. He didnât need to flap. He shot to the clouds, his shame melting into excitement. His family and the osprey followed behind, instructing him. Kachi Ugo's whole life has revolved around writing. When he was twelve, while his friends still flipped through picture books and comics, he took an interest in thick, picture-less âstory booksâ that opened him up to a whole new world of possibilities and adventures. A decade later, he writes those same books himself. Kachi Ugo is an avid supporter of YA Fantasy. For him, writing is a passion. He relishes the power it gives him to create worlds of his own where anything and everything is possible.